Visit Our Sky Lounge On The 4th Floor. 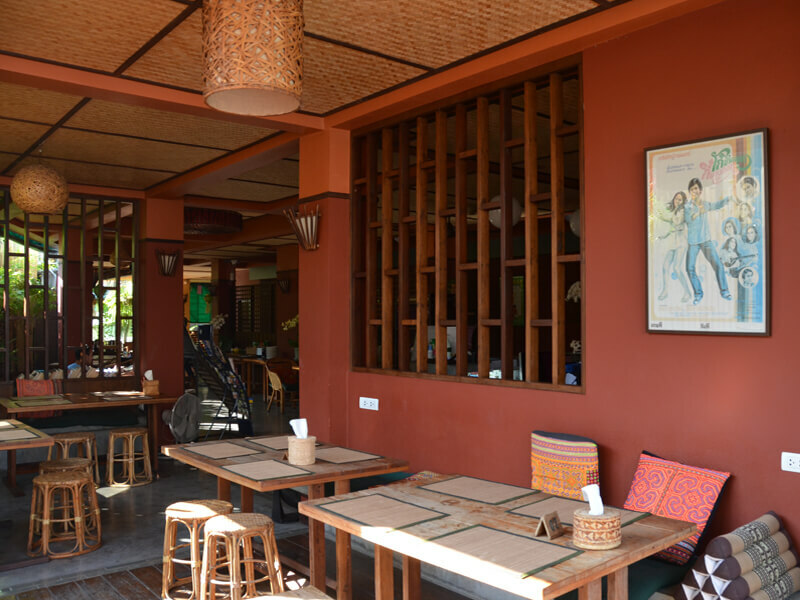 Start your day with a freshly prepared breakfast at our own restaurant where we offer vegetarian and vegan food and healthy juices and smoothies throughout the day. Try our delicious thai specialties or our western classics. We don’t offer a breakfast buffet. All our breakfast choices will be prepared freshly according to your order. For your convenience, we offer free coffee, tea, toast and drinking water in our lobby – all day long! Our guesthouse is guarded by 24-hour camera surveillance, motion sensors and a night guard for your safety. 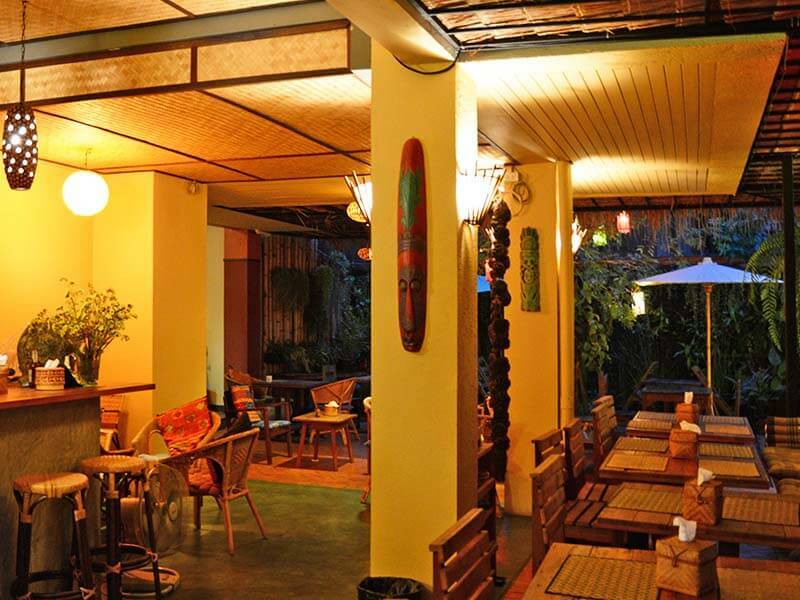 Free WiFi is available throughout our guesthouse, including our private rooms, dormitories and common spaces. Explore the city with one of our rental bicycles or get a scooter to visit one of the many beautiful locations outside the city. We provide yoga mats upon request. 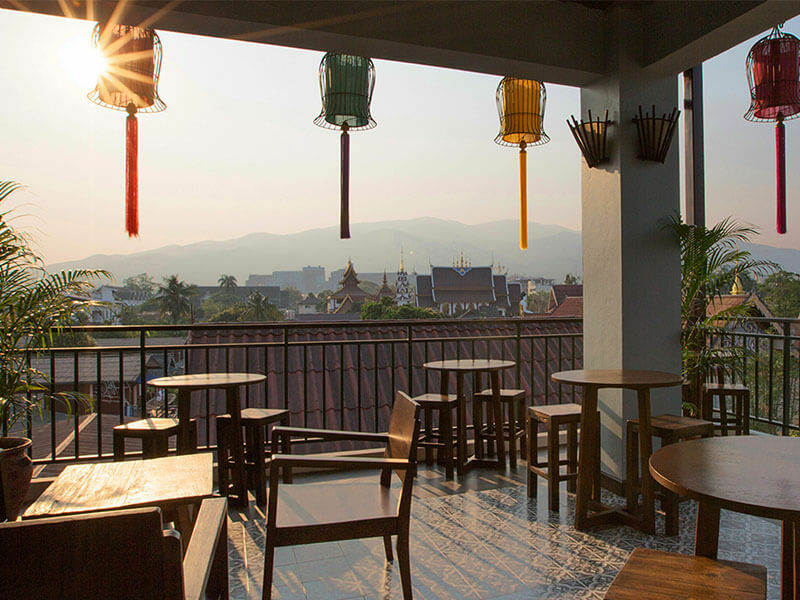 Our partially open terrace on the 4th floor is perfect for your daily morning yoga practice. Guest arriving early in or departing late can use our convenient shower facility on the ground floor. Take a cold beverage from our fridge in the lobby and pay at the front desk. We offer water, soft drinks and local beers. Sorry, there is no passenger elevator. However, we have a convenient luggage lift for heavy bags. On the ground floor and around the reception, we offer relaxing spaces for reading, planning trips or chatting with friends. There is plenty of seating with conveniently placed charging outlets for your communication devices. 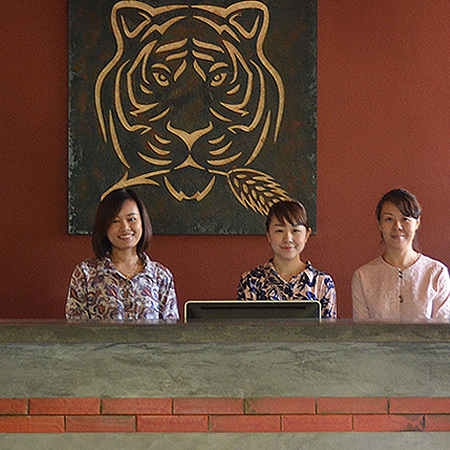 Our lobby is an open space with a front desk, where we try answer all of your questions and help you arrange any activities during your stay. 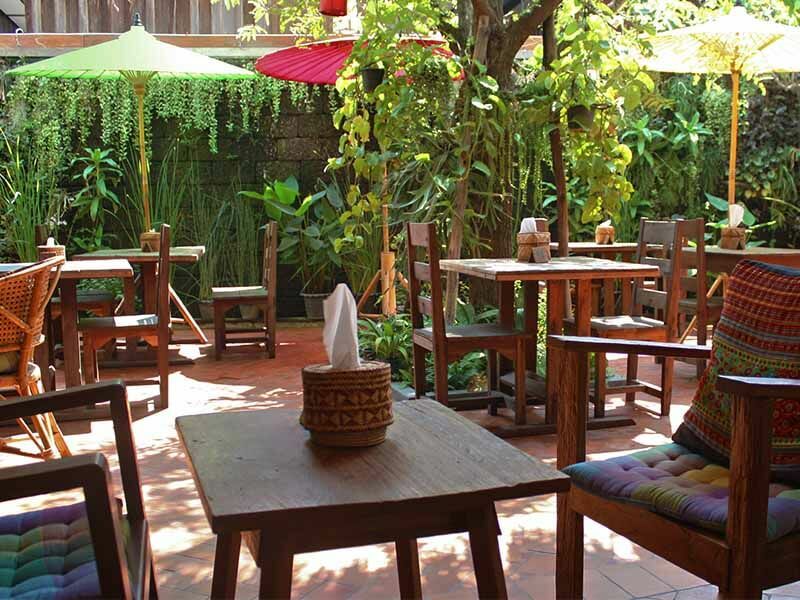 Try our food, have a coffee, fresh juice or just relax in this green and peaceful area on the ground floor. During morning hours, breakfast is served and the colorful umbrellas and trees provide a comfortable shade on a hot afternoon. At Reform Kafé we offer a variety of delicious plant-based and individually prepared choices for breakfast. Try our homemade coconut yogurt with granola, original-style Swiss muesli, home-fried potatoes with turmeric or the scrambled tofu. The self-service buffet includes multigrain bread, non-dairy butter and homemade mango jam. 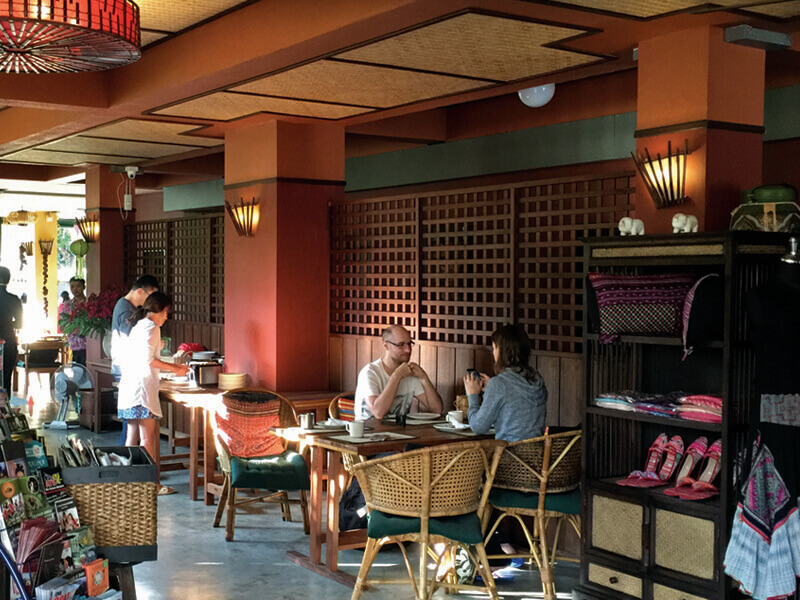 From 11:00 am until 9:30 pm, the restaurant offers an all plant-based menu featuring popular Thai and Western dishes. Our sky lounge is the perfect place if you want to read a book or practice a few minutes of yoga. There is also a counter with free coffee and tea for your convenience. 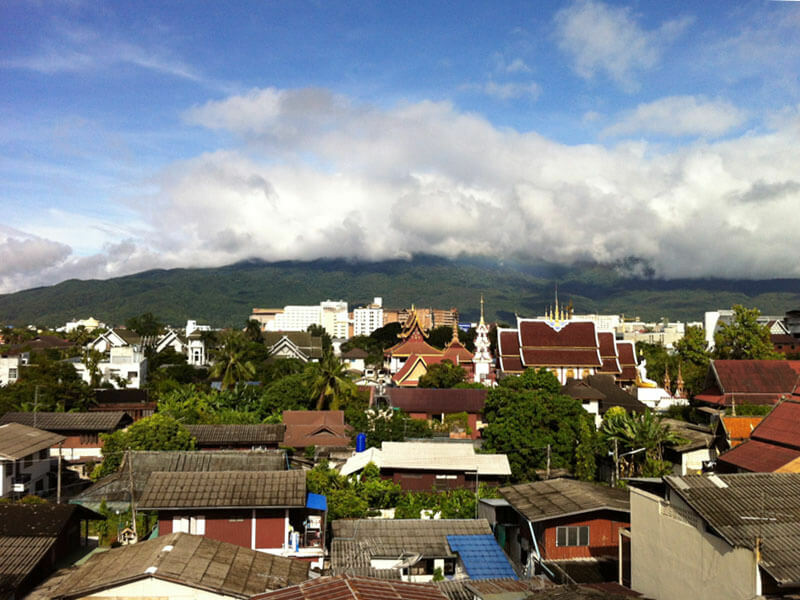 On the 4th floor, enjoy great views of the city and Doi Suthep, the mountain and national park to the west of Chiang Mai. The sky lounge is open during the day to all registered guests. Do you need a taxi or a private car with driver? We are glad to organise all different kinds of transportation for you. Do you arrive late in the evening? No worries, our front desk service is open 24 hours a day. For guests arriving early or before check-in time at 2:00 pm, we offer a convenient shower facility and luggage storage so you can start exploring the city soon after getting here. DO YOU HAVE ANY QUESTIONS ABOUT OUR FACILITIES AND SERVICES?